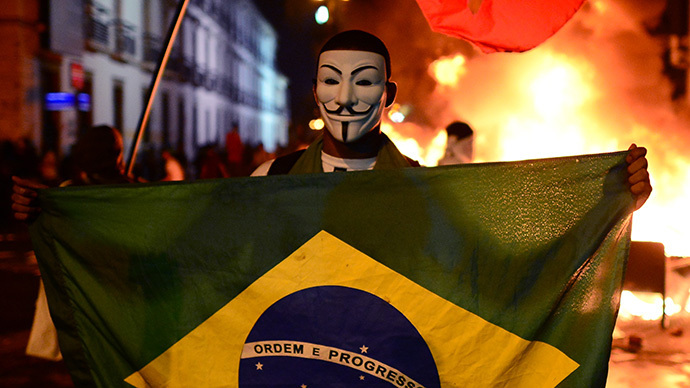 As of late Wednesday local time, major sites still crippled by alleged Anonymous-led hacks included those of Brazil’s Department of Justice and Consumer Citizenship, the Military Police of São Paulo, the Bank of Brazil, São Paulo’s subway system, FIFA Confederations Cup Brazil, and the websites of the municipalities of Igarapé do Meio, Nova Luzitânia, and Indaial, as well as Universal Music’s Brazil-specific website, and the nation’s official World Cup website. The attacks started on Monday, according to Hacker News Bulletin, which is tracking all sites taken down or hacked by Anonymous. Anonymous also took credit for other site-crashes that have since been repaired. Those include the sites of the Brazilian Intelligence System, the Brazilian Football Confederation, Brazil’s main site for sporting matters, Hyundai’s Brazil-specific website, and advertising agency Africa.com.br. 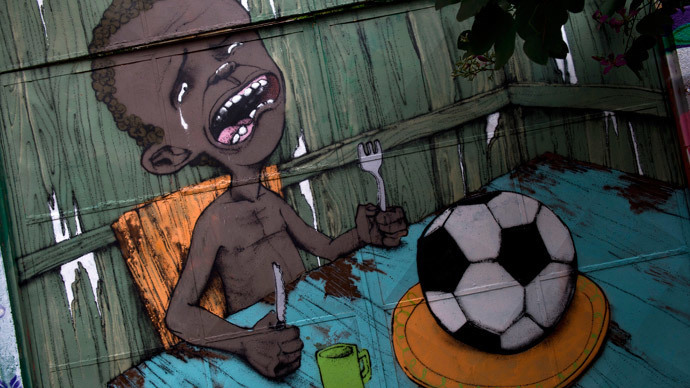 Mass protests have occurred in Brazil in the run-up to the World Cup, as the host nation has been criticized for prioritizing profit ventures of national and multinational businesses over its own people, including the impoverished that have been cleared from the favelas, or slums, in the likes of Rio de Janeiro in preparation for the largest football tournament in the world. 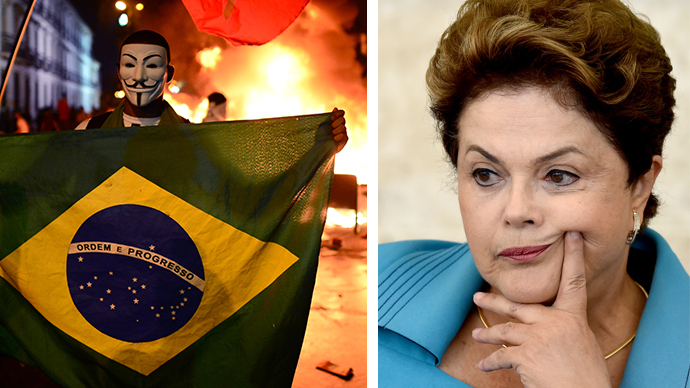 Brazilian President Dilma Rousseff has claimed the protests have been orchestrated by political opponents of her central Workers Party. 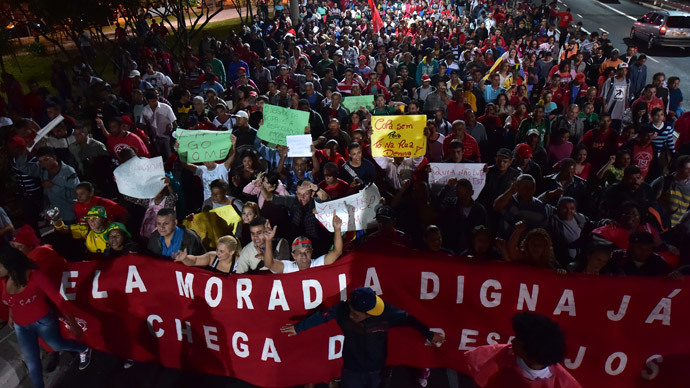 “There is a systematic campaign against the World Cup – or rather, it is not against the World Cup but rather a systematic campaign against us," President Dilma Rousseff said Sunday in the southern city of Porto Alegre, AFP reported.